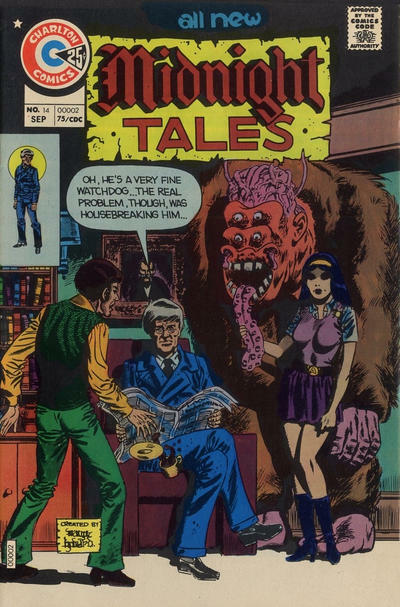 Wayne Howard, the Wally Wood of Charlton contributed considerably to their line during this period. 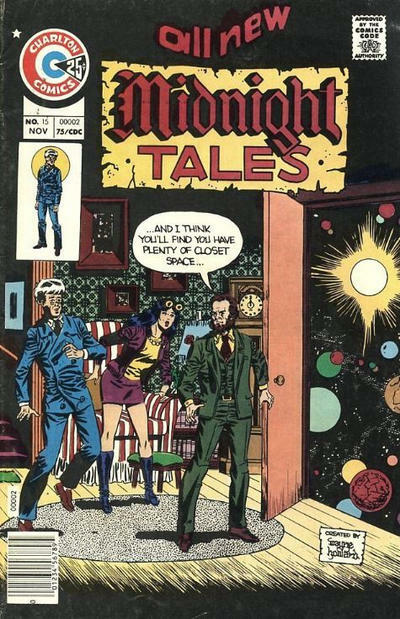 The funny covers of Midnight Tales, which had nothing to do with the interiors, always added a uniqueness to this series. 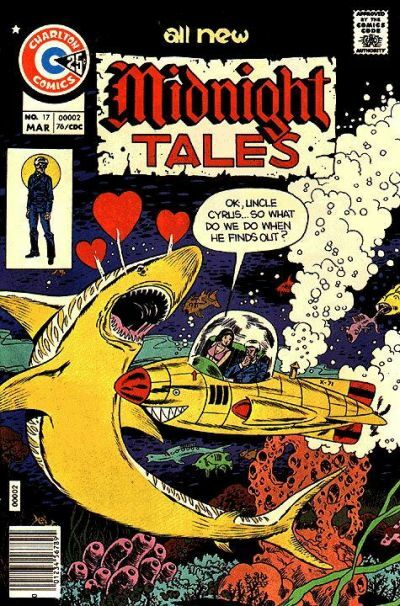 This mag and E-Man were my 2 favorite Charlton titles. 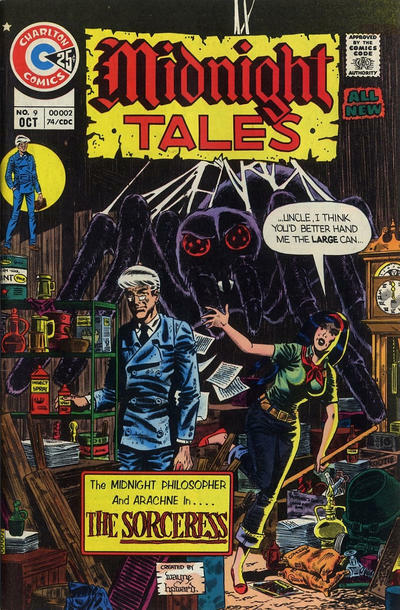 If I remember correctly each mag had a Howard wrap around story featuring The Midnight Philosopher and Arachne that segued into three stories illustrated by Howard, Staton and Sutton. 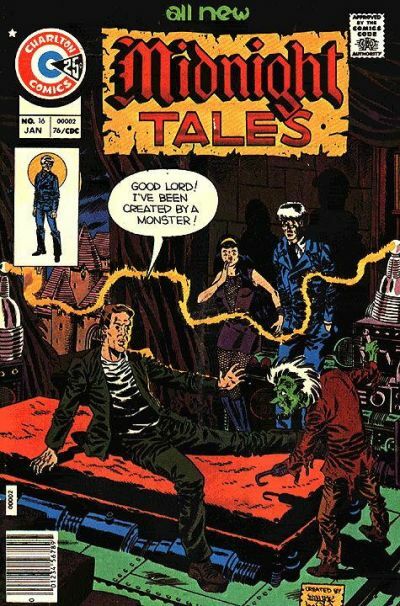 After the demise of Charlton, Howard basically disappeared and I had read that he didn't like to talk about his comic book work. A shame really as he would have been a real asset to the rapidly growing Marvel Universe. 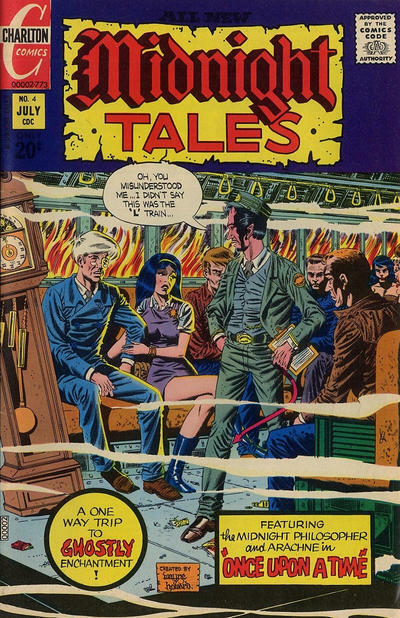 He inked Gil Kane in Marvel Team-Up # 14. 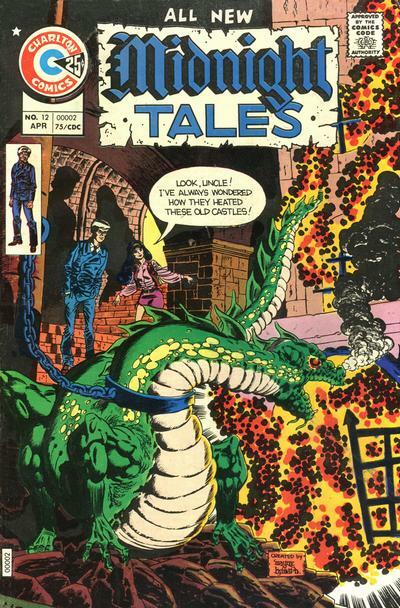 The combination was great and it would have been nice to have seen him as a finisher for other talents there (the Buscema brothers, Ross Andru). 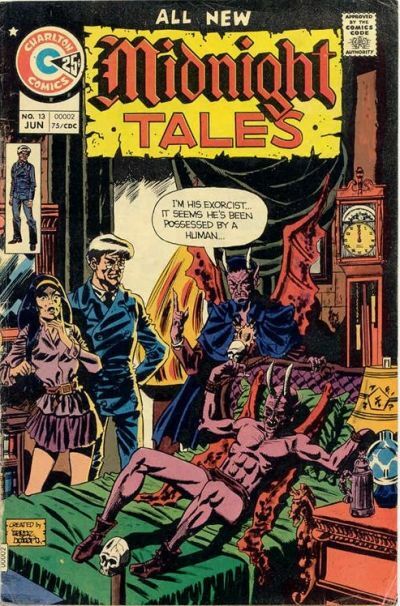 I don't have any of these comics but they look like a lot of fun. Great covers! Thanks, Groove.